I can’t believe Valentine’s Day is upon us already! It is nice to look out for Valentines because it’s a lovely excuse to be spoilt a little by our loved ones. 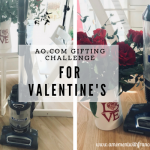 It isn’t just the day of love but the day of friendship so I would like to share a list of gift ideas below that could be given to your partner or to your best friend or even to buy it for yourself! I will start with a classic gift which is chocolates. I will then suggest some nice gifts for the hair, some cool products for your face and finally some really lovely products for your homes like candles, vases and cushions. Also if you want to send lovely flowers I would suggest Bloom & Wild. They have the most amazing arrangements! Of course, who wouldn’t like to receive chocolate on Valentine’s Day? It is a classic. I have a few different options that I thought you might like. 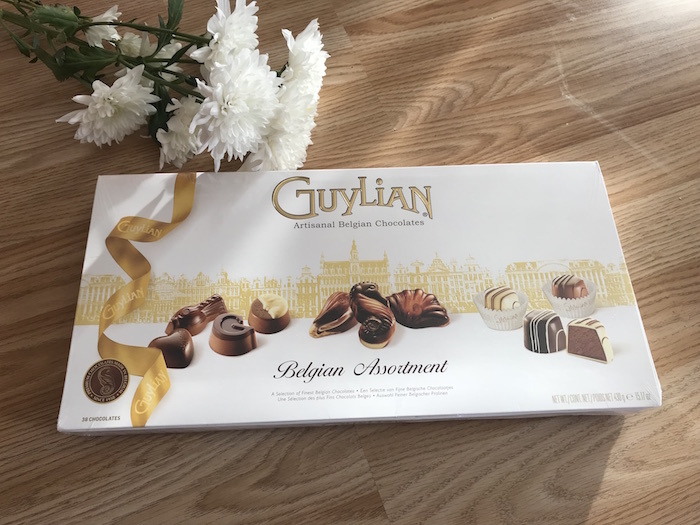 OMG, who wouldn’t like to receive a Guylian’s box of Belgium chocolates! I love them! They are so yummy! Let me tell you that this large box of Belgian assorted chocolates went down well (in one day!). My daughters loved them, especially the sea shells which are super cute and of course super tasty. They are the perfect gift for any occasion. 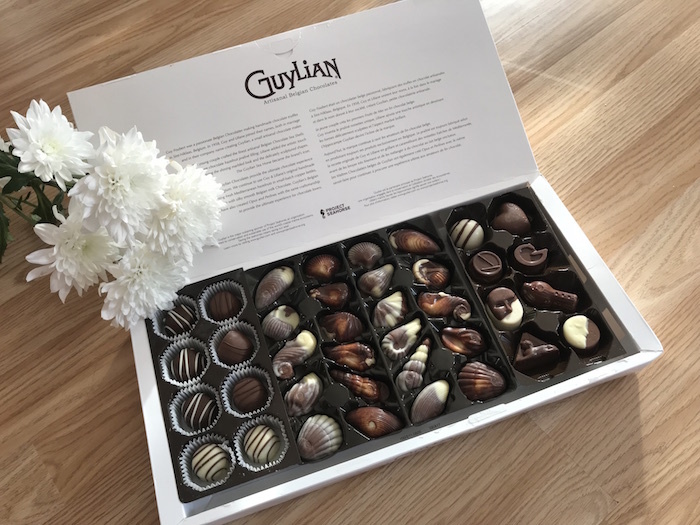 Guylian’s luxurious assortment boxes offer a handpicked selection of their most iconic products, collected in a premium gifting box. 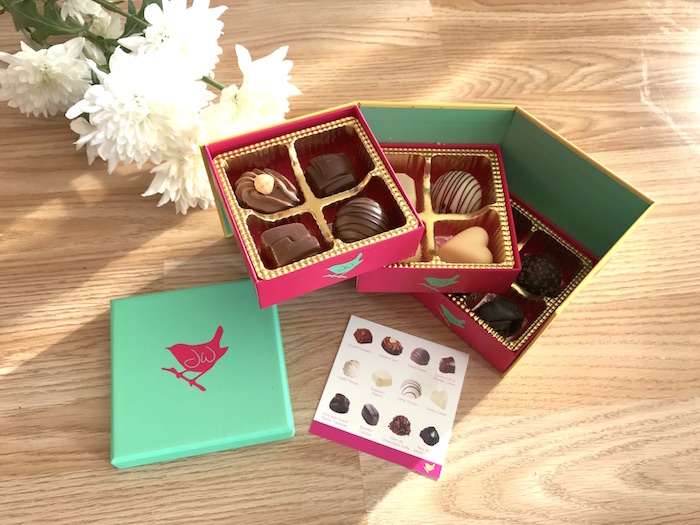 This box comes with delicious Sea Shells with roasted hazelnut praliné filling, La Trufflina smooth Belgian truffles and the opera-inspired Opus assortment pralines collected in one luxurious gift box. I hadn’t heard of this brand before but I was delighted to try this lovely box of artisan chocolates. This is their special edition gift collection box. It comes in a bright purple coloured box. I thought it was very well presented. Whoever you give this box to, I am sure will be very grateful. These chocolates are definitely different. This box has 4 different flavours: Rhubard & Vanilla Fool, Stem Ginger, Almond & Salted Caramel and Hazelnut which was my fav0urite. Check the Booja Booja website because they have a lovely variety of products to choose from. 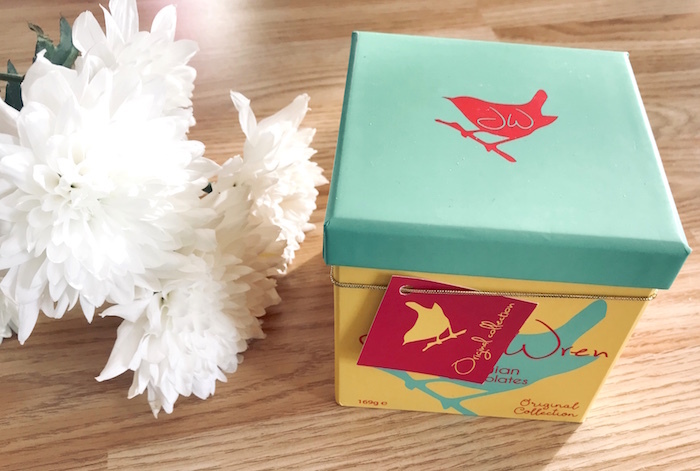 I haven’t heard of Jenny Wren chocolates before but I am glad I was introduced to them because I think they come in the cutest chocolate box that you could ever imagine! If you are after something different and SUPER cute this is the perfect option! This unique box opens up to reveal 3 folding layers which are part of the box itself. How cool is that? 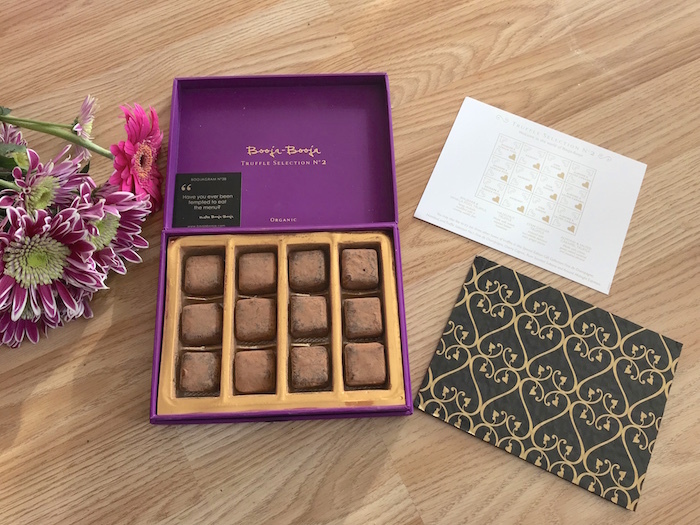 The box features twelve delicious hand-finished Belgian chocolates and truffles. There are four each of milk, dark and white chocolate – including Fleur de Sel caramel, raspberry yoghurt and white mocha. You can buy this cute box in Sainsbury’s for £6.49. 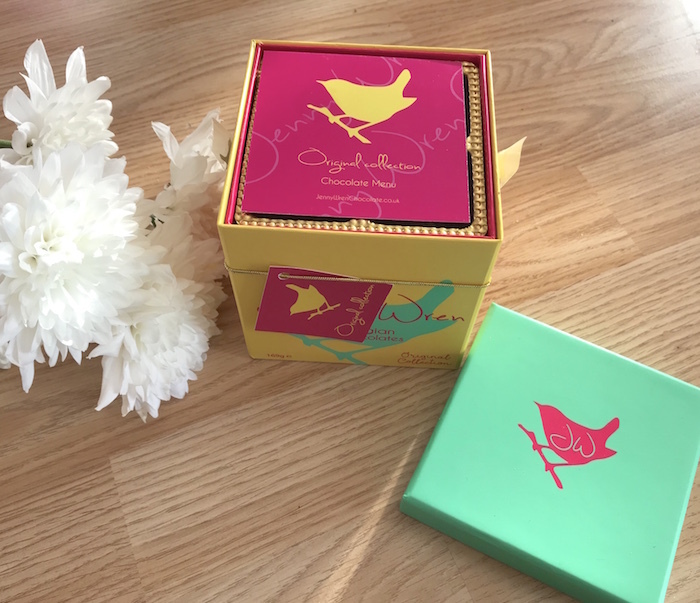 The box is also very useful because after eating all the delicious chocolates, kids can use them for putting small keepsakes, toys or even jewellery in. How fantastic is that? I really love this idea! You can check the Jenny Wren Chocolates website to learn more about them. I was super excited when I heard about Rock & Ruddle. 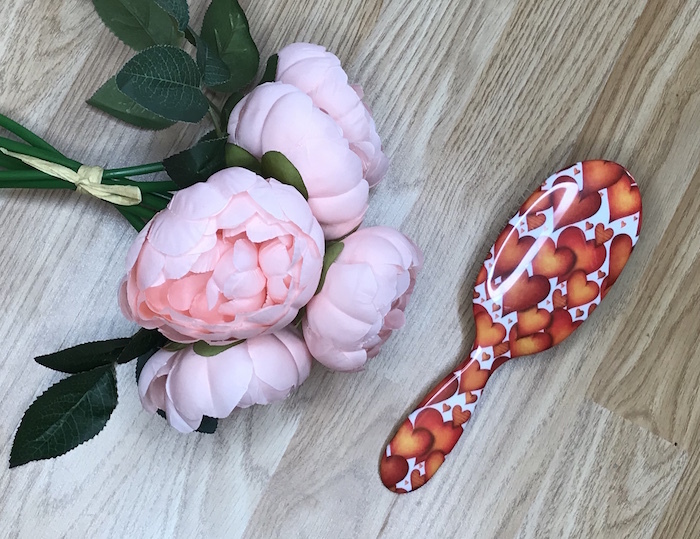 I didn’t know you could get such lovely hair brushes and the best part of all is that you can personalise them so it becomes an even more special gift. 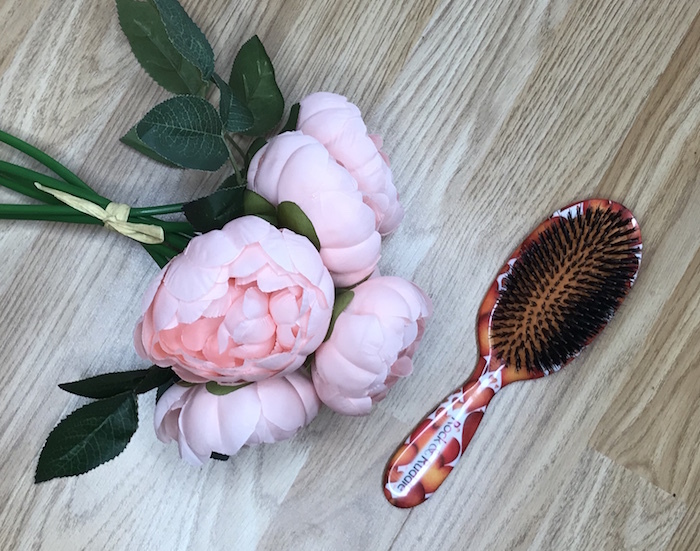 They have a range of lovely designs, natural boar bristle hair brushes with some stunning Valentine-inspired designs. They sent me the cutest design with lots of hearts perfect for Valentine’s Day! Brushes come in two sizes, large (£30) and handbag-sized (£20). A selection of brushes can also be personalised with the name of your loved one too for an extra special touch. You can choose from glorious clusters of red hearts, candy pink or sunny orange. For some fun designs you can try Mrs Zebra, Miss Daisy (with her little dog Molly) or if you’re a real animal-lover try Cats & Dogs! Rock & Ruddle’s quality boar bristles are strong and resilient, have a natural stiffness that means that they brush the hair thoroughly and yet don’t pull as they are drawn through it. They have microscopic scales that release and drag the sebum (natural oil) that is produced in the scalp distributing it along the hair making it shiny and healthy looking. Check the Rock and Ruddle website to find out more. You can buy this for yourself to look gorgeous on Valentine’s Day or it could be a nice present for a friend. We all appreciate having good products to keep our hair looking beautiful. I love finding new products to try. I hadn’t tried any Phil Smith products before so I was very excited to give them a go. 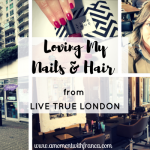 They have a selection of Hair Products that you will love. 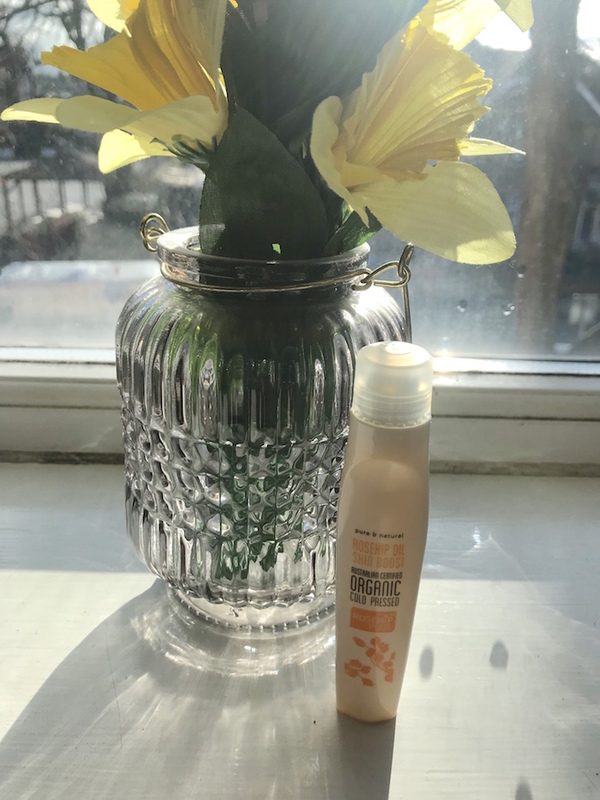 I tried Phil Smith Be Gorgeous Total Treat Ultimate Repair Shampoo with Moroccan Argan Oil, a Phil Smith Be Gorgeous Total Treat Ultimate Repair Conditioner with Moroccan Argan Oil and finally a Phil Smith Be Gorgeous Total Treat Ultimate Treatment with Moroccan Argan Oil. The products come in an eye-catching fun pink and blue colour. They help lock in moisture to heal dry, damaged hair and restore smoothness. 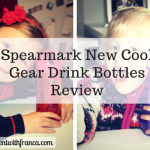 These products are exclusive to Sainsbury’s stores nationwide. Visit Phil Smith Hair to check their products. Another perfect product to get for yourself so you can look gorgeous on Valentine’s Day. You need to take care of your skin in order to keep you free of wrinkles and dry skin. I am so much in need of a product like this. This is an all organic and all natural brand. A global first, with its hygienic massaging roller ball, this revolutionary design allows you to target areas that require a precision application. It is rich in naturally occurring vitamins, antioxidants and essential fatty acids as well as 100% pure and natural Certified Organic Rosehip oil, cold pressed from the seeds of the Rosehip (Rosa Canina). Helps you to aid skin with precision and ease – perfect for popping in your bag on the go. Tip: put it in your fridge so when you wake up you take it out and roll it under your eyes. This will help with that puffy eyes and tired look that we sometimes have! It is an Australian company but you can get it from Amazon. I absolutely love candles. What better than being able to personalise your own candle? This is perfect for Valentine’s Day and of course for any special occasion. 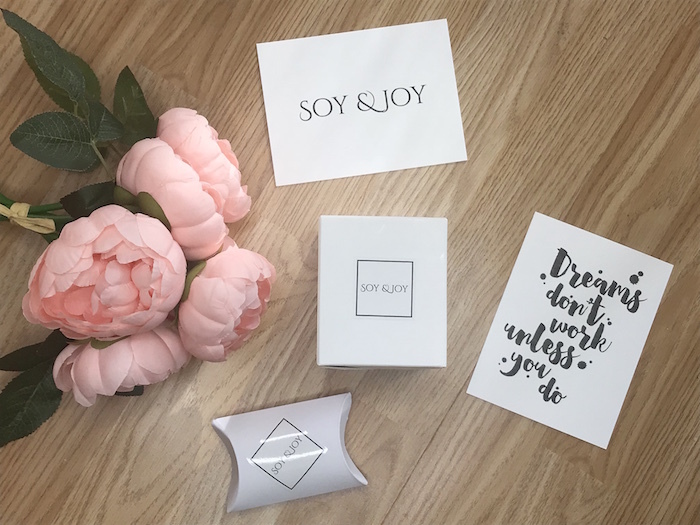 I hadn’t heard of Soy and Joy before but now I am a fan. The packing was lovely and with so much detail. I loved that they also sent me a quote which I can put on my desk to keep me positive. 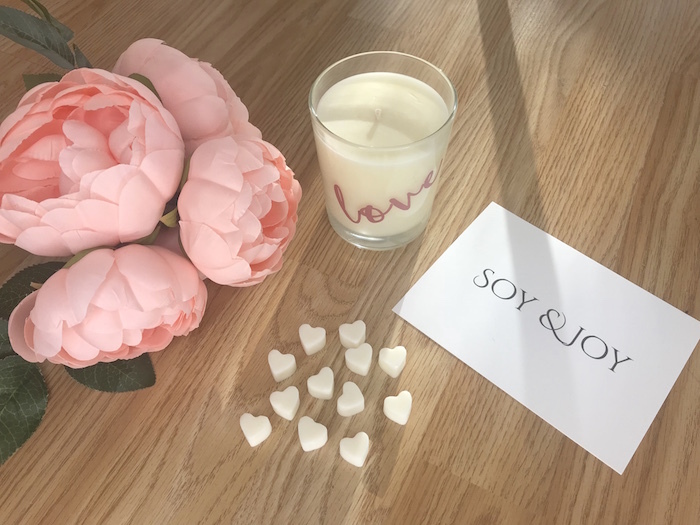 Their candles are hand poured and made from soy wax (no colour dyes or nasty paraffin wax), and each one has a charm hidden in the wax. The candles have a mixture of sassy slogans or positive affirmations. Examples of sassy slogans include “EAT.PRAY.SLAY”, “GOAL DIGGER” and “DREAM SLAYER”. There are also quotes in rose gold, copper and pink. You can also customise quotes! My candle has ‘LOVE’ on it which I really like a lot! It smells lovely and it looks super cool. It came with a small box with heart shape soaps which was super cute! You can find more at the Soy & Joy website. I love Dunelm. They always have something nice for your home. I have always been very pleased when buying from them. 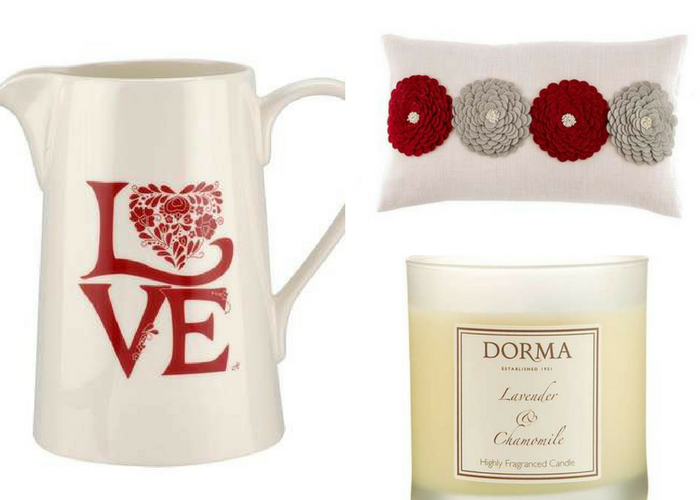 These accessories are perfect for Valentine’s Day. You will be showing so much love with this Jar with the embedded word Love in red. It is lovely and with some red roses, for example, it will look amazing. I will have it ready for Valentine’s Day so I can fill it with my “hopefully” red roses that Nick might be sending. I couldn’t give a better hint here right, LOL? The candle is really nice. It has a very strong scent and features a 40-hour burn time. This sophisticated candle from Dorma is scented with a lavender and chamomile fragrance and comes complete with a glass holder. And the cushion is just perfect for my home decor as well as perfect for Valentine’s Day! It looks so pretty in my living room! It matches perfectly with my cushions. 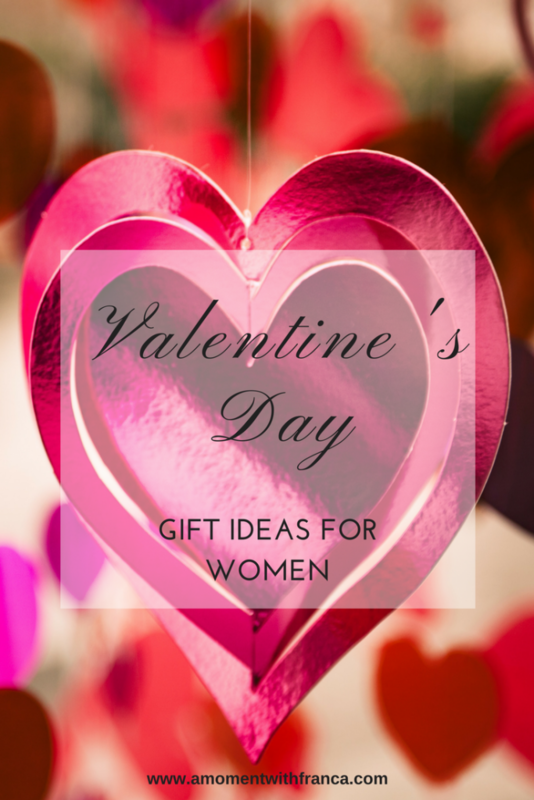 If you are looking for Valentine’s Day Gift Ideas For Men please check my following blog post. 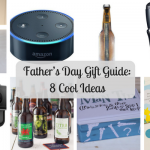 You will find there some cool ideas to spoil your loved one. 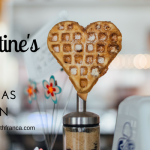 9Have you already bought your gift(s) for Valentine’s Day? Is there something on this list that caught your attention? *Disclosure: I received samples for each product for the purpose of this blog post. However, all thoughts and opinions are my own. It contains one affiliate link. Some great gift ideas there, those chocolates look so tasty.